Follow the adventures of our not-so-heroic band of misfits in their travels around the world as they get themselves into (and out of) various kinds of mischievous and sometimes idiotic adventures! Mischieviots is entirely free for everyone to play and enjoy. The pay-what-you-want is only offered in case you wish to donate/help support future adventures; never feel that you have to pay anything, just enjoy the game! Any feedback, follows or ratings would be greatly appreciated also. Their first adventure: "The Gathering"
This is their first great adventure. It places our friends scattered all over the place and most have not yet met each other. 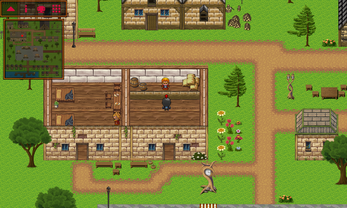 Our "hero" finds himself being pushed toward helping out his town, since everyone else has run away or is hiding. With nothing more than pure dumb luck at his side, he decides to accept the quest and heads out into the world ! This is a complete mini-adventure containing about 2 hours worth of game play and comes to a conclusion after fighting the "final boss" at the end. You can rush to the end and get there sooner, but will likely find the fight difficult if not around level 8+ by the time you get there. 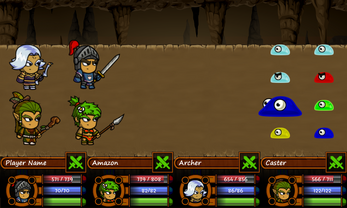 The adventure contains a single home town, forest and two interconnected caves. Each new map you visit introduces some new monsters, each being a bit tougher than the one's prior. The forest and first cave maps each have 15 chests hidden within them giving you all kinds of free loot! The second cave contains a small puzzle to solve and then finally the "final boss". 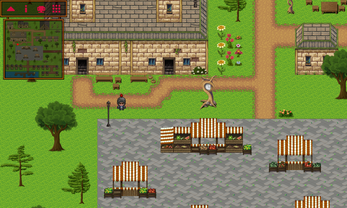 You can find a Vendor and Inn within the town where you can buy supplies and rest any time needed. Mischieviots is currently being planned out for at least 6 more additional chapters taking you on adventures focused on each of our friends while they explore the world around them. 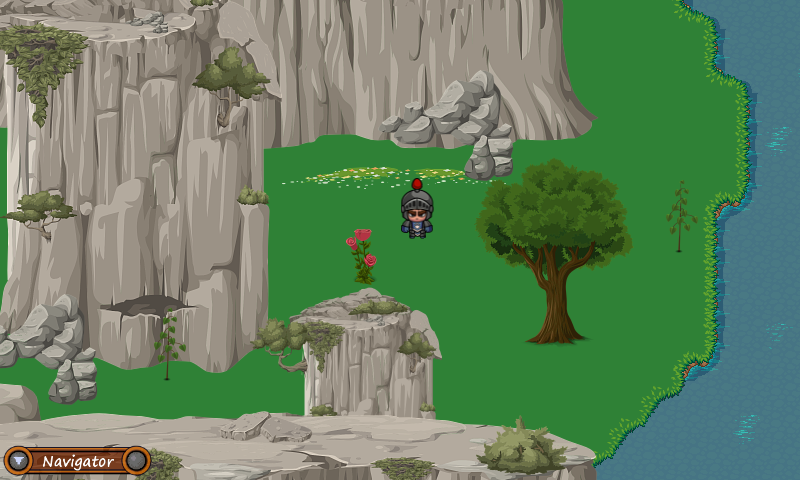 The next chapter being written is "Dwarf and the Dynamite" and development for it will be starting very soon! Here are some of the key features currently available. Many of these will be expanded upon as I continue to develop additional chapters. 12 levels of equipment, weapons, items, orbs and spells available to play and the planned cap will be level 50. 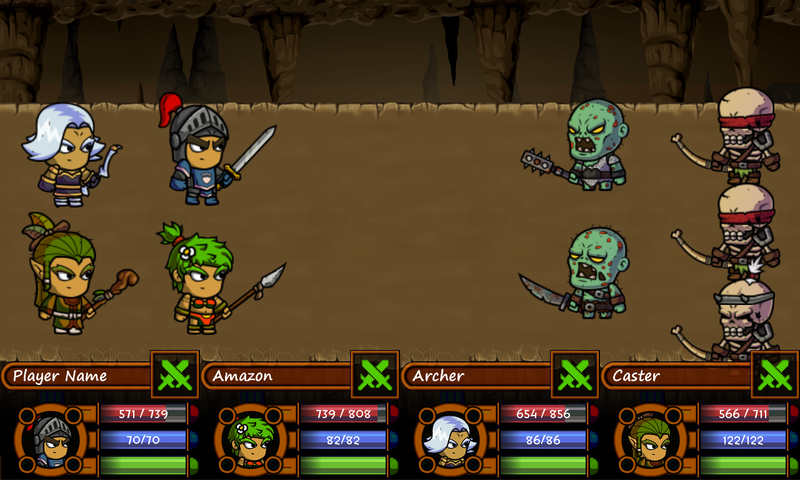 10 various types of monsters for you to defeat in the mini-adventure. (not including the 50 "little animals" wandering around the world map). There is planned to be over 70 different monsters in total. 20 different spells available with tons more planned out. 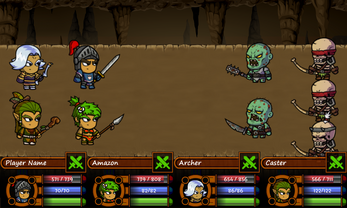 Characters learn special attacks as they level up that are still useful at higher levels. 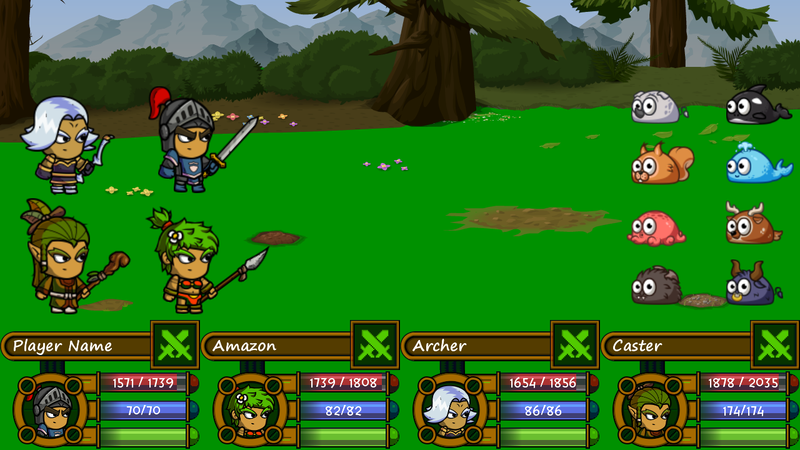 Defensive options can be used during combat also. Most characters will also have custom one's as they reach higher levels. Quest journal to help you keep track of where you've been and where to go next. Random and Strategic monster encounters. 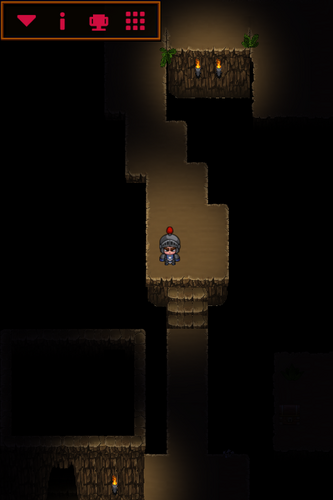 Random encounters are initiated through "spawns" which you can choose to walk up to or ignore. You can also make encounters immediately go into battle instead through the game options. Mana regeneration. It will regenerate at a rate based upon remaining Mana; the lower your remaining Mana, the slower it will regenerate. So, if you don't manage it properly, you might have to wait for it to regenerate over several turns! You are able to save the game anytime you're not in combat; allowing you to play as little or as long as you wish and pick up exactly where you left off. Optional Auto-save is available for those who prefer to use it. Multiple profiles. Shared computer/device? Give everyone their own profile. Orb crafting allowing you to customize your characters statistics. Scroll crafting allowing you to customize your character spell books. Customized "quick access" window that allows you to set up any of your favorite items (potions etc) for easier access to them. This helps you spend less time looking through your pack for these over and over again. Turn-based combat system with a small twist. Instead of strict turn-by-turn attacks, players are able to take their turns as soon as their characters agility bar allows them to and the chosen actions will be taken right away. Monsters will attack in return when not being attacked by the player. This means that if you have all your characters waiting on their turns, the monsters will relentlessly attack you until you return to the action! This should be pretty simple. Unzip the downloaded file to a directory of choice and then run the EXE provided. Do not run the JAR file directly since the JVM provided with the ZIP file is the one best suited for the game and using the EXE will start it with that JVM instead. To move the character on the screen use WSAD or the arrow keys and SPACE key to run. You can use the mouse or keyboard to use menu items. See the Options dialog for specific key mappings and to change them as you see fit. All feedback is welcome, but also please try to report any immediate issues, crashes or problems you run into. As much as I'd love to not have anyone crash at all, if you do happen to crash, try to recall what you were doing at the time and let me know along with which operating system you were on. You can also check the "CrashReports" folder found in the same directory as the game (created when needed, so if no folder, no report was made) and send that along for review. Under most conditions, your current game will also be saved as a separate slot allowing you to pick up where you were just before the crash. 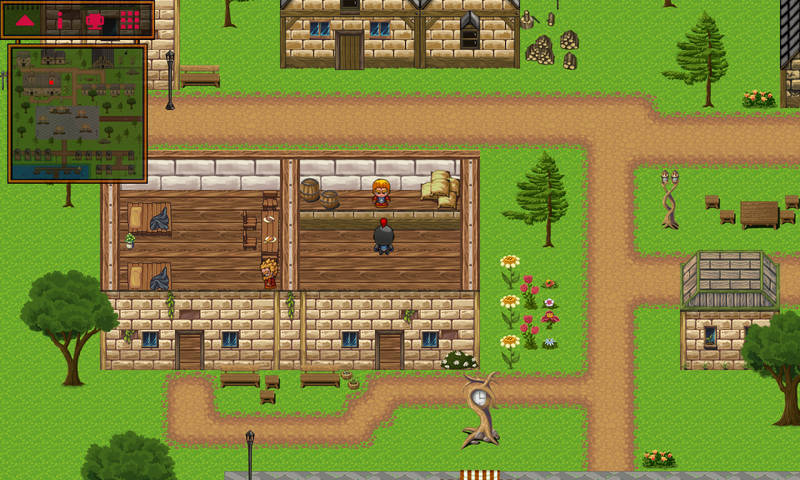 The download currently available is for "The Gathering" adventure and the core game mechanics. The adventure itself is considered complete and only bug fixes will be made in the future. 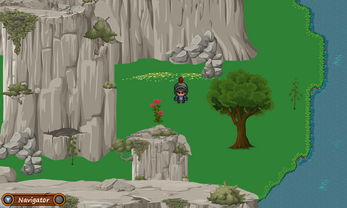 The core game mechanics will be expanded upon and improved as needed during the next development phase. Lot's of small polishing changes and bug fixes. Changed several spell and effect animations. Added a RUN key. 50% faster than walking when used. Monsters have had some adjustments and are a bit tougher than before. Added things in the unattended town vendor stalls for the player to find. Made food increase HP by percentage instead of a static number making them more useful at higher levels. Desktop screen touch (mouse) has been improved. Players are now able to take their turns as soon as their characters agility bar allows them to and the chosen actions will be taken right away. Monsters will attack in return when not being attacked by the player. This means that if you have all your characters waiting on their turns, the monsters will relentlessly attack you until you return to the action!